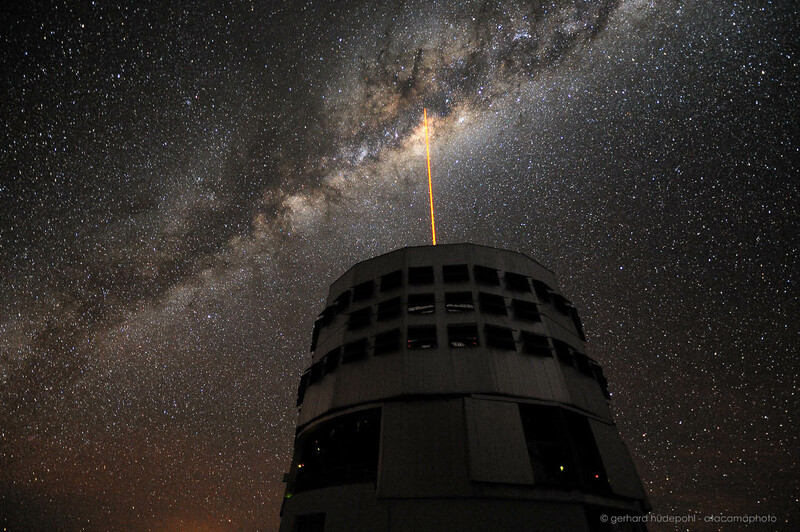 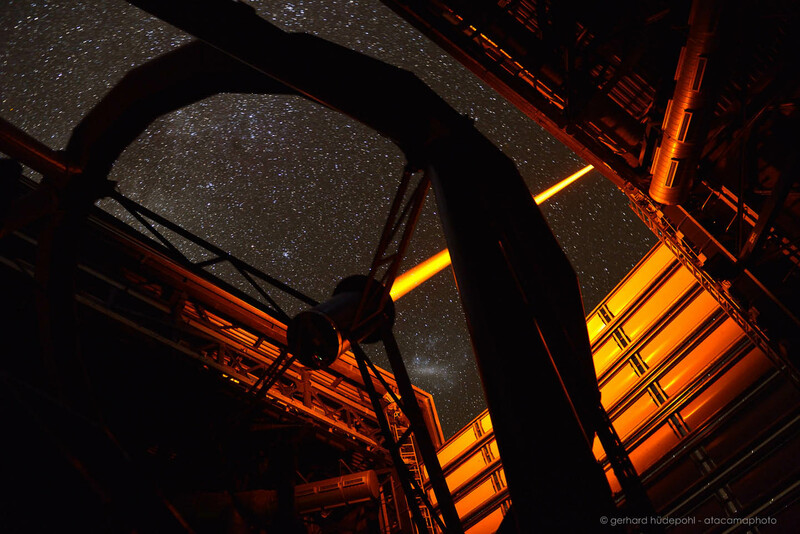 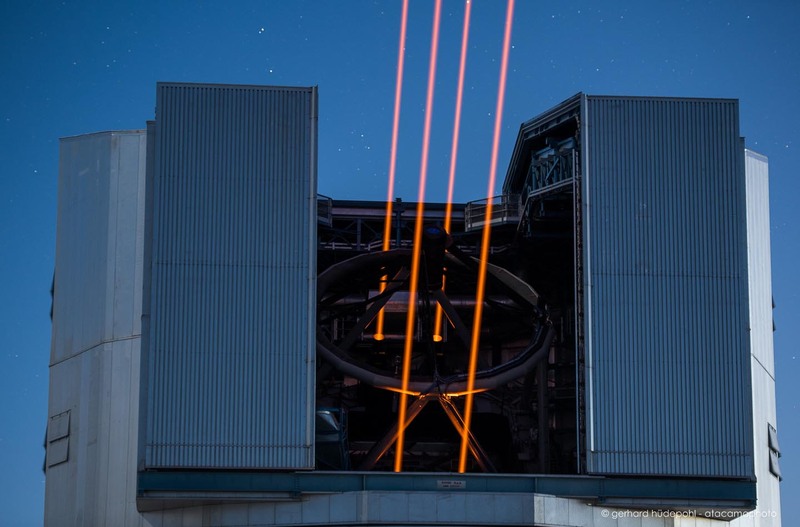 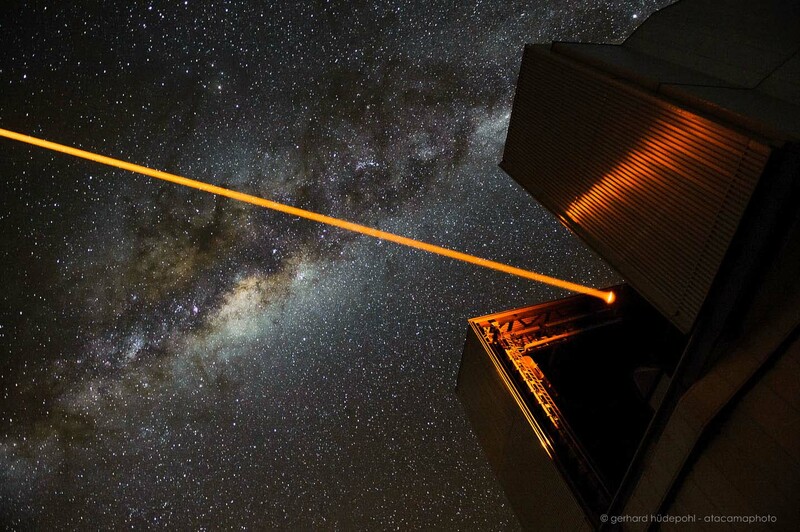 Long exposure of the Laser in Paranal. 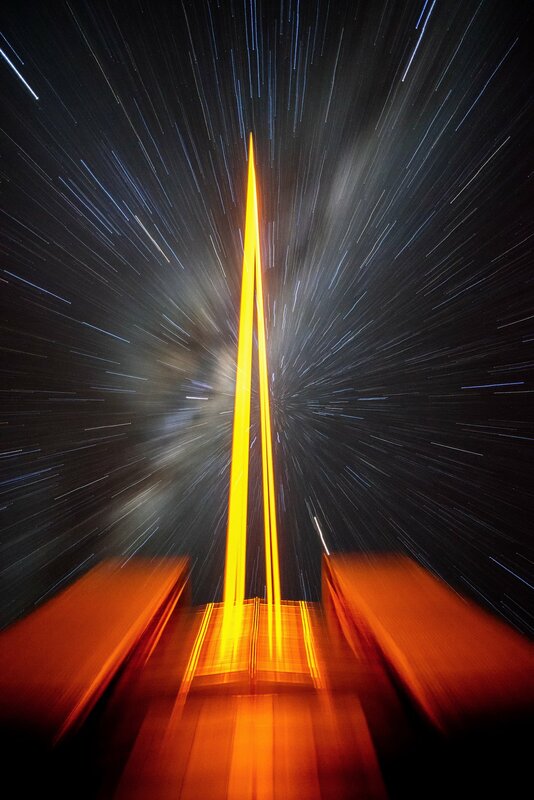 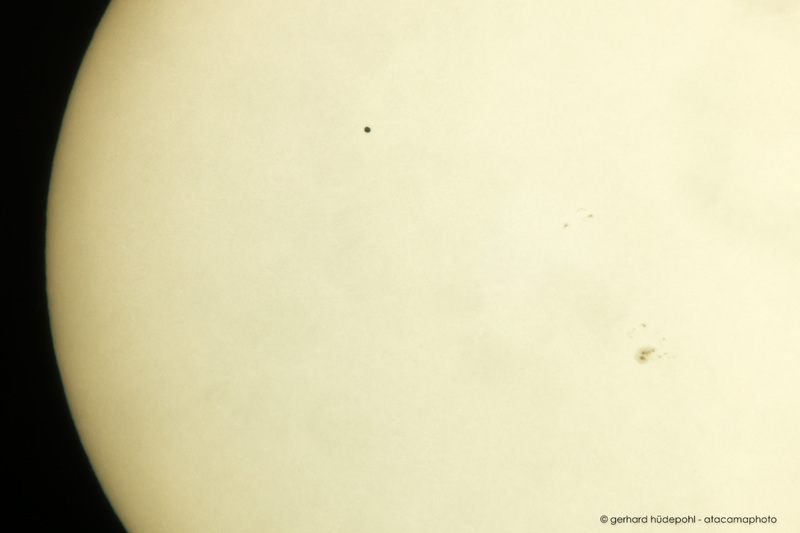 During the exposure the zoom lens was used in a creative way to achieve this interesting effect. 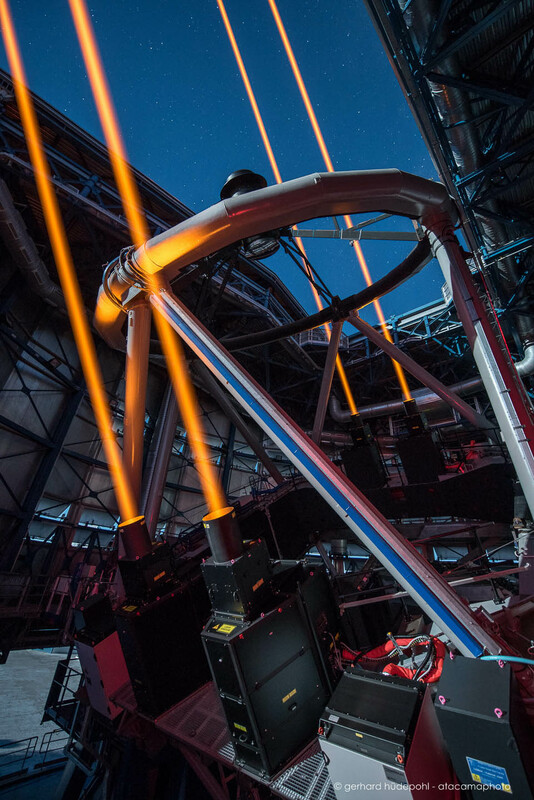 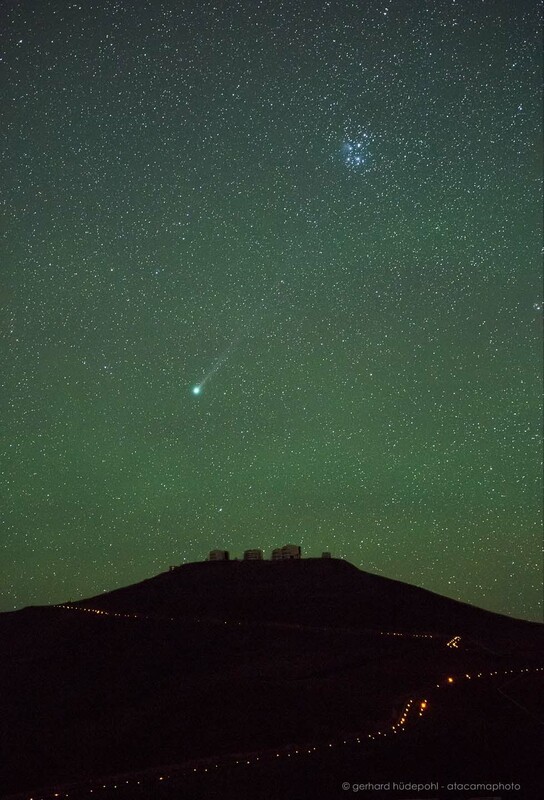 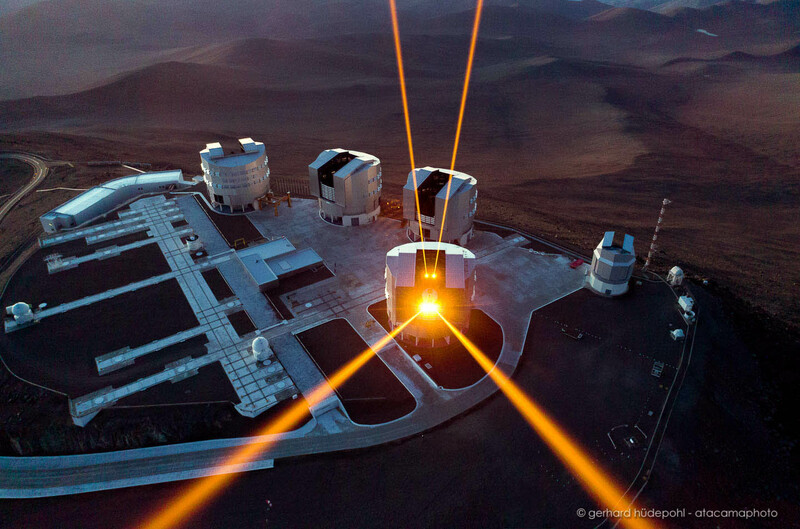 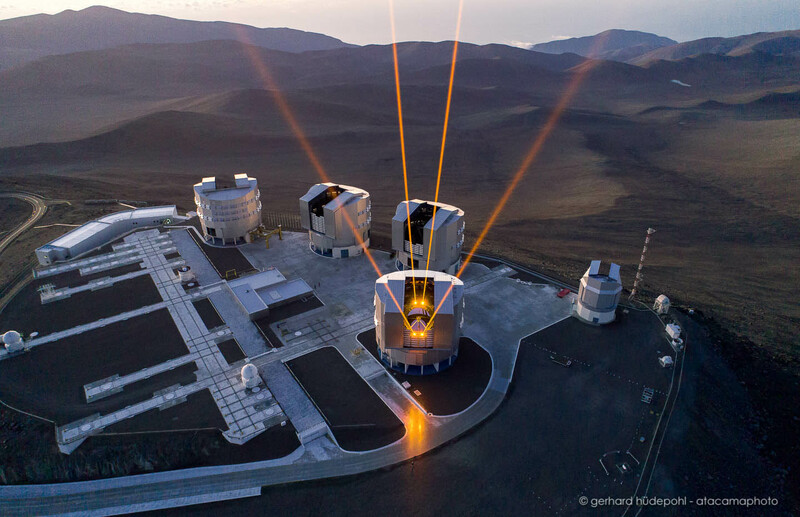 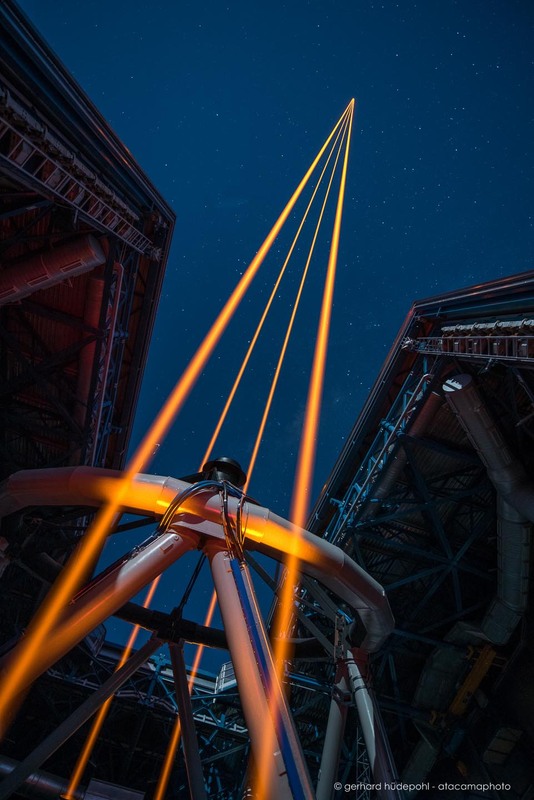 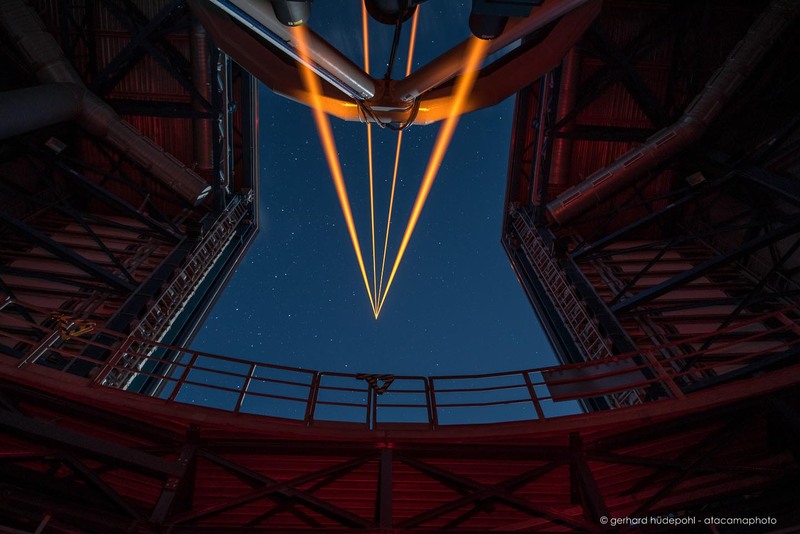 Creative image of Lasers in Paranal. 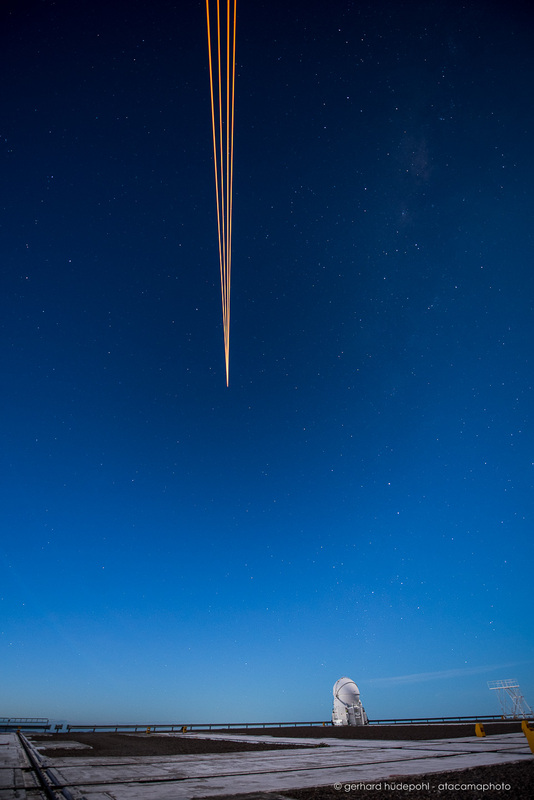 Playing with the zoom lens during long exposure produced this interesting effect. 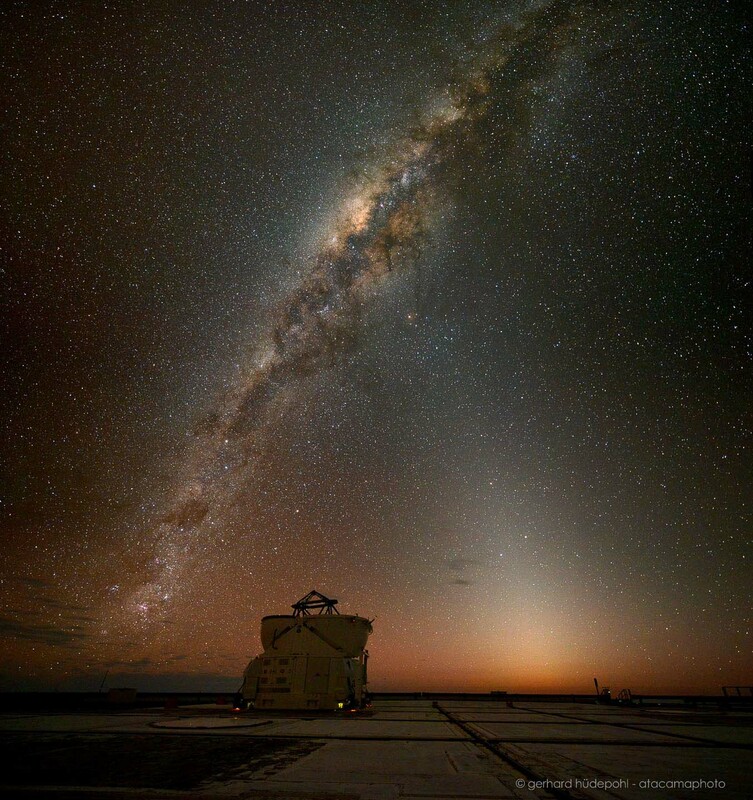 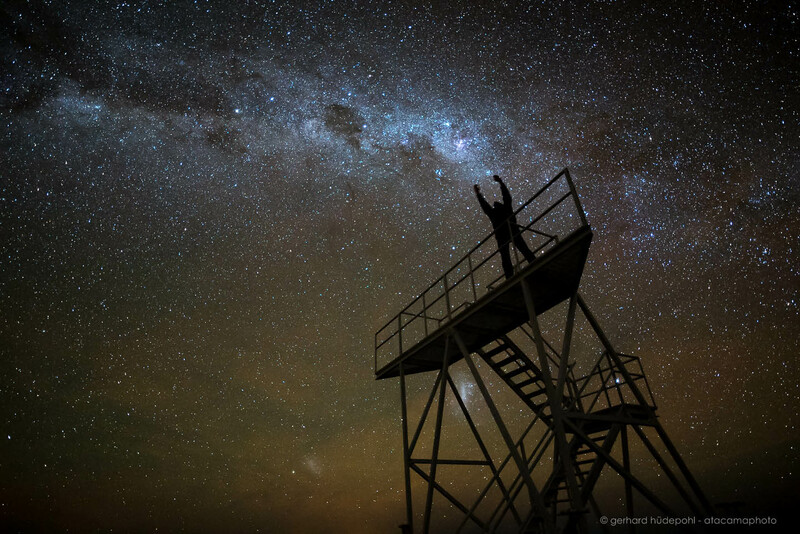 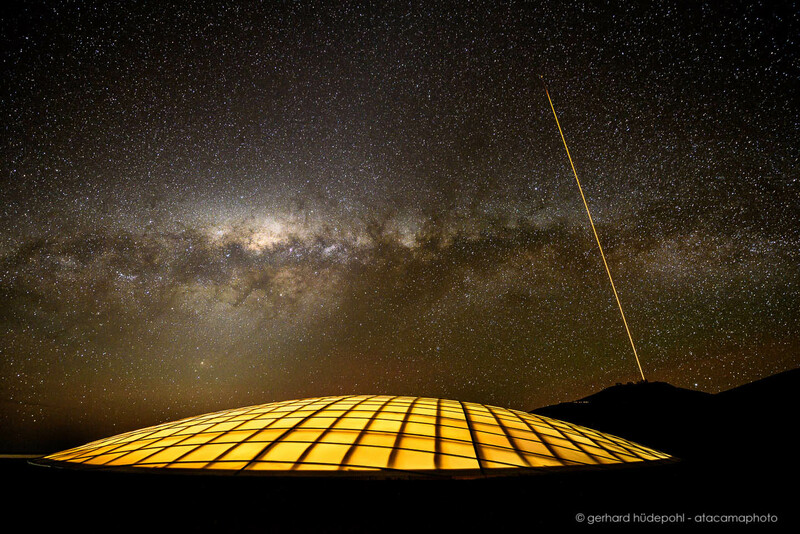 Paranal observatory with 4 Laser Guide Stars, Magellanic clouds, Zodiacal light and airglow. 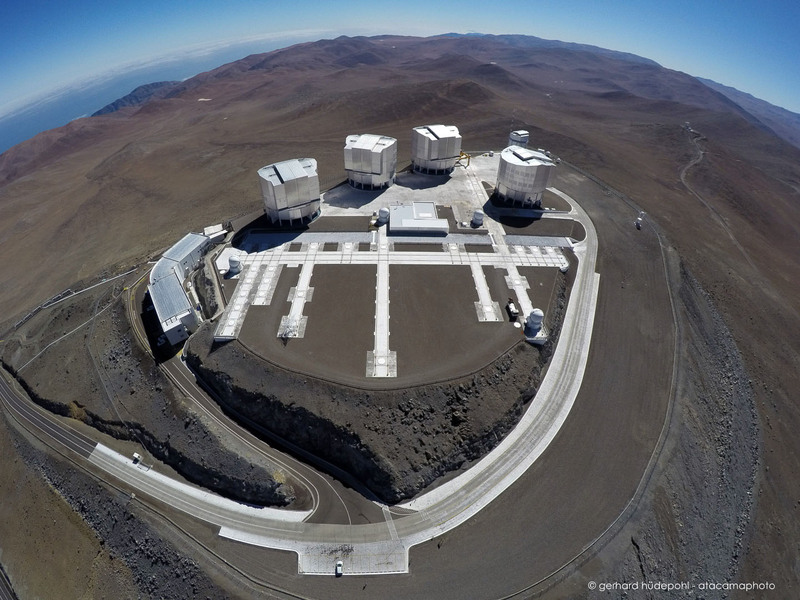 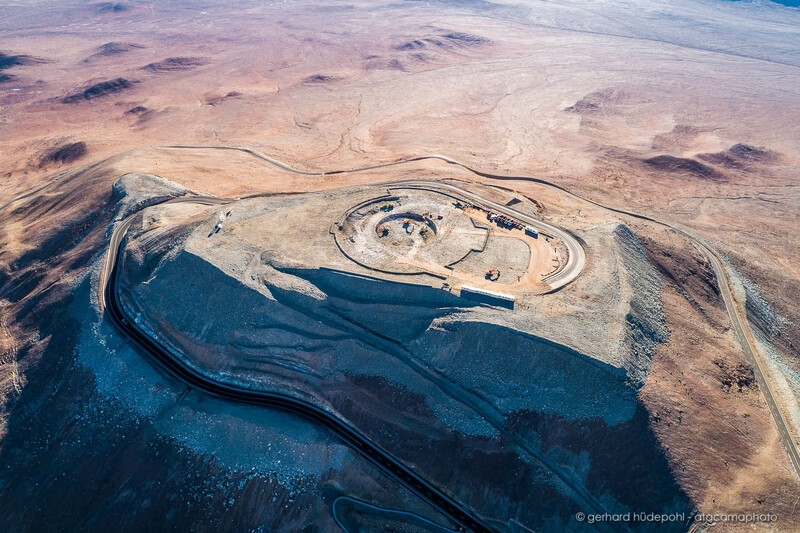 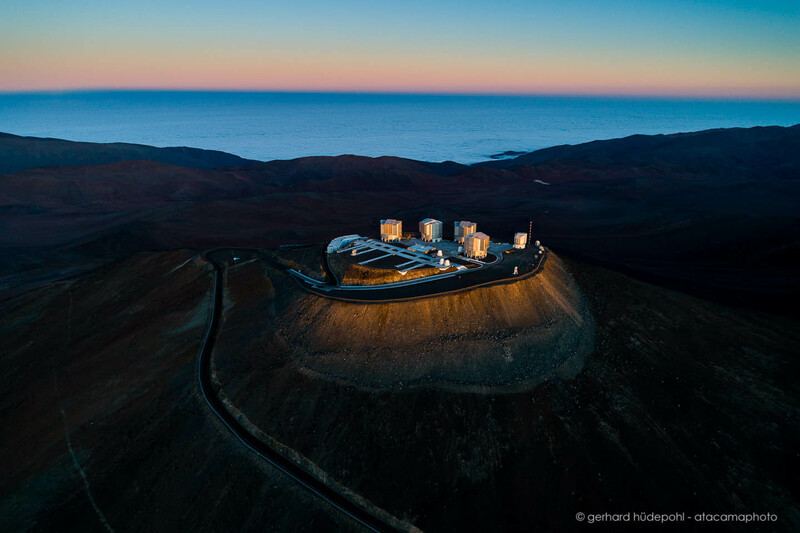 Aerial panorama of Paranal with the VLT and VLTI and the shadow of Paranal next to Cerro Armazones on the horizon. 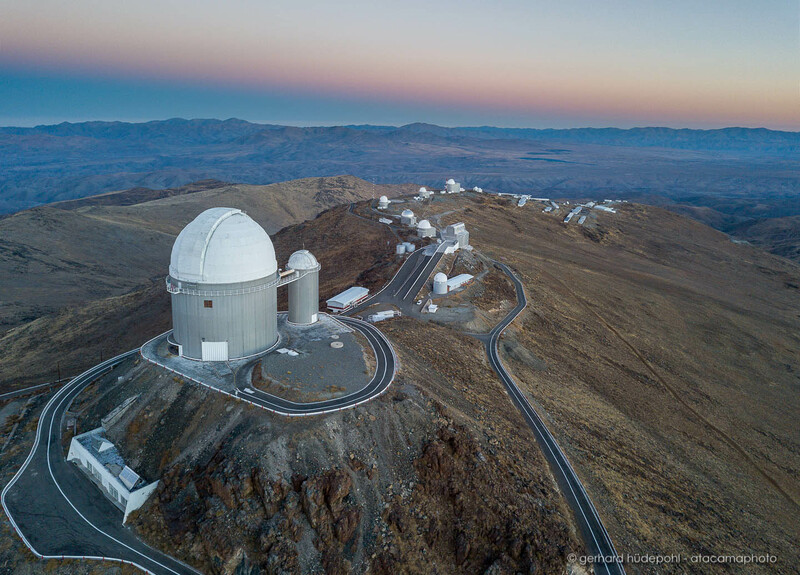 The basecamp to the right. 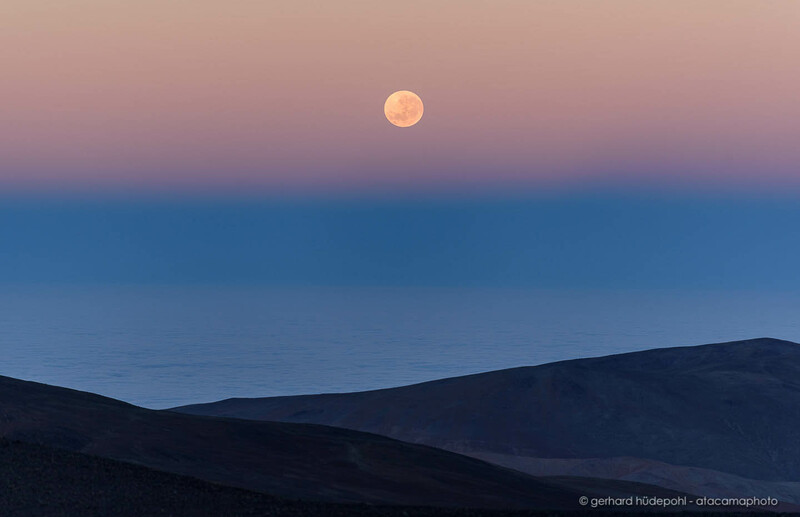 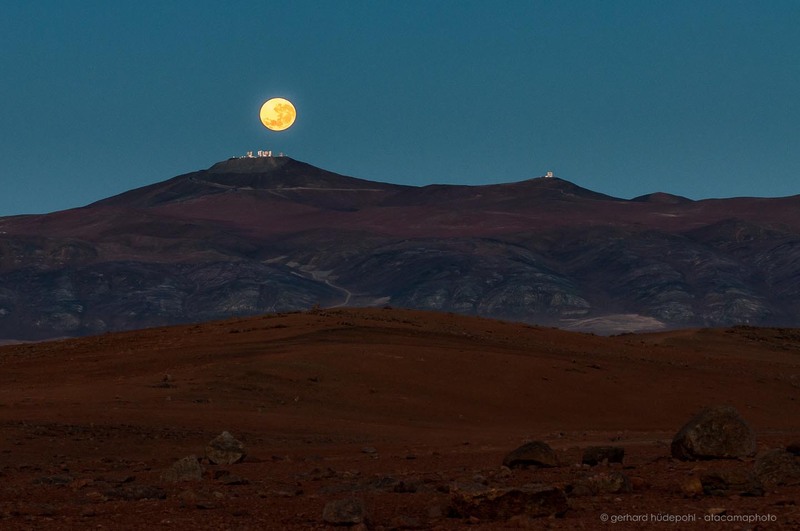 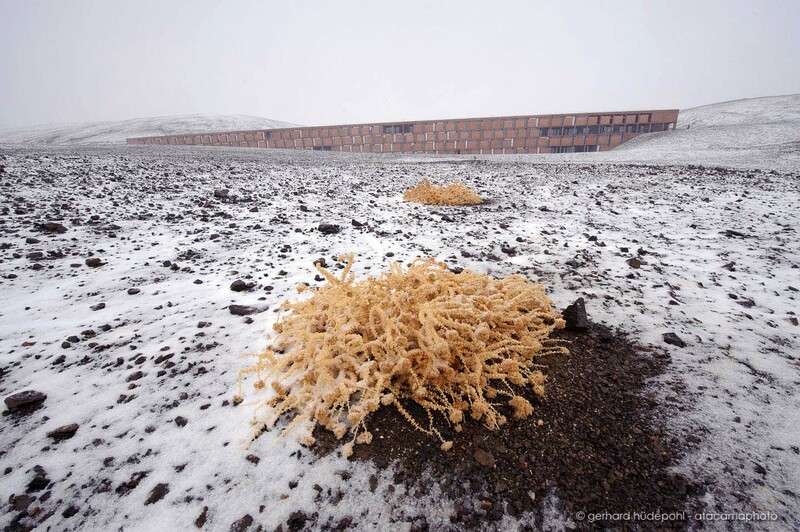 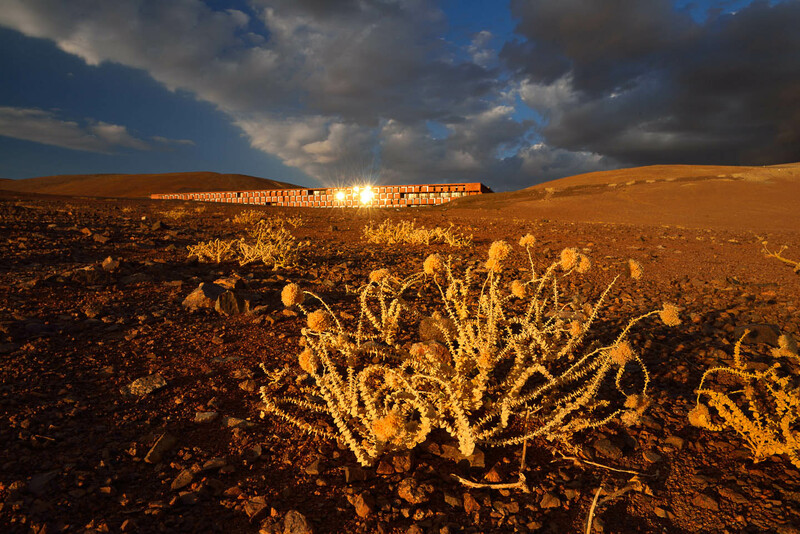 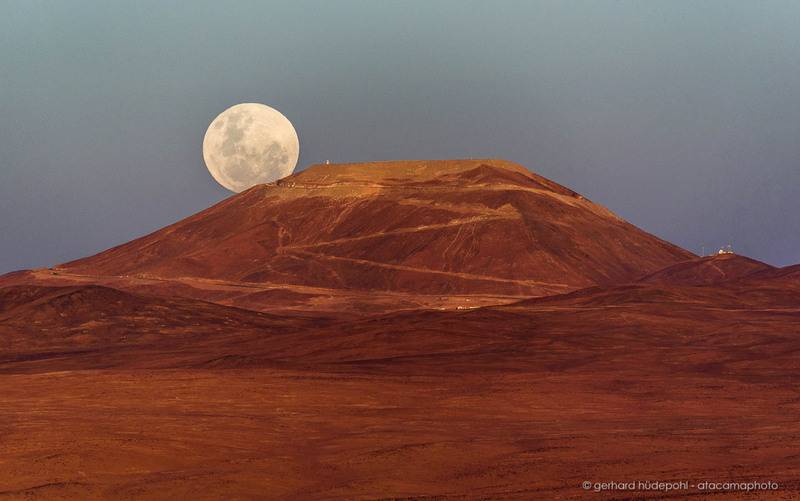 Cerro Armazones in the Atacama Desert is prepared for the ELT (Extremely Large Telescope). 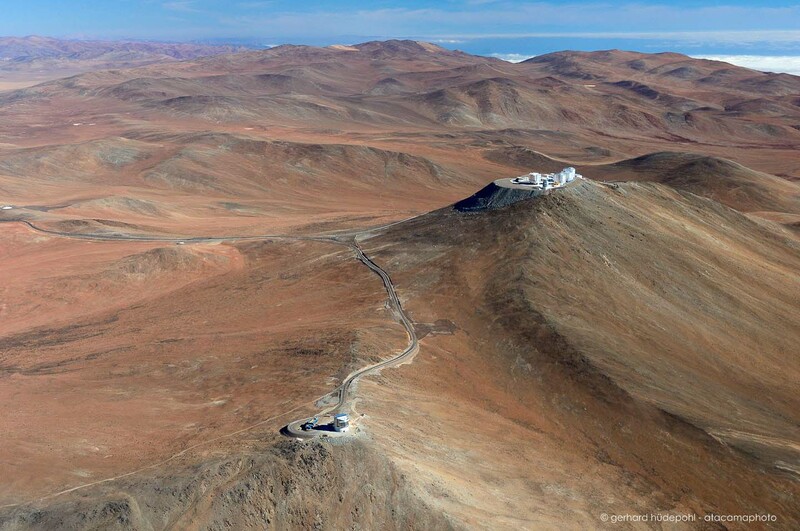 Once completed it will be the biggest telescope on the planet. 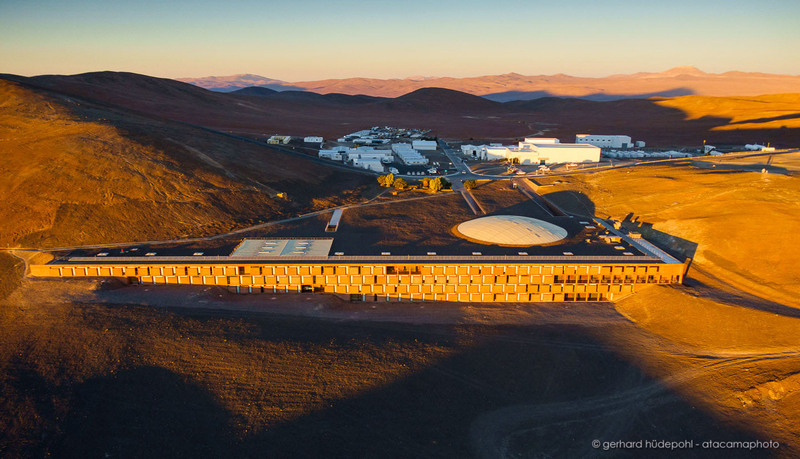 Aerial view of the Very Large Telescope observatory on Cerro Paranal in Chile at sunset. 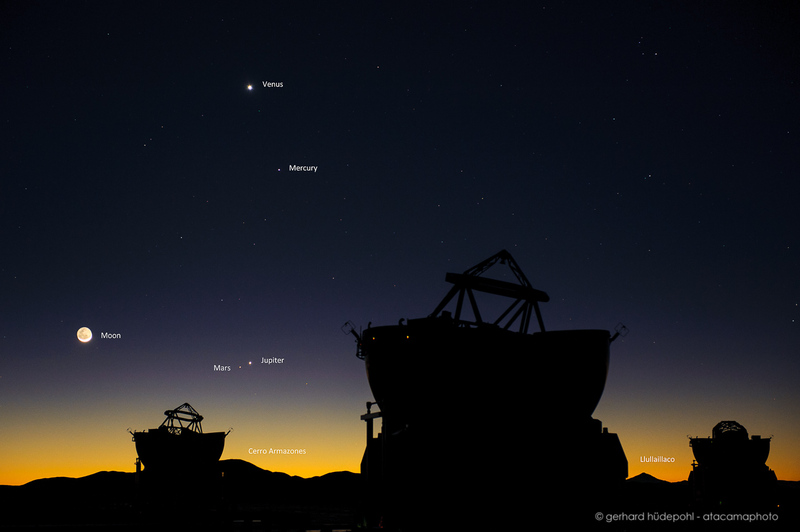 Rare conjunction of four planets and the moon above Paranal Observatory: Venus, Jupiter, Mars and Mercury. 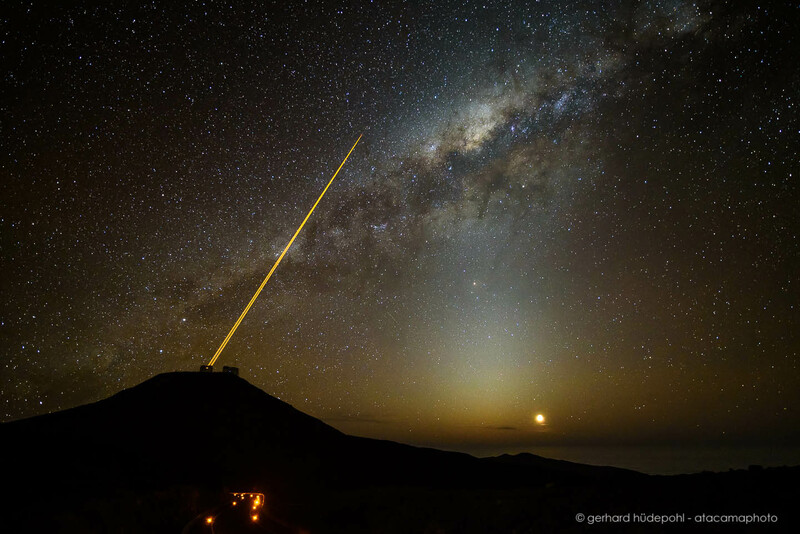 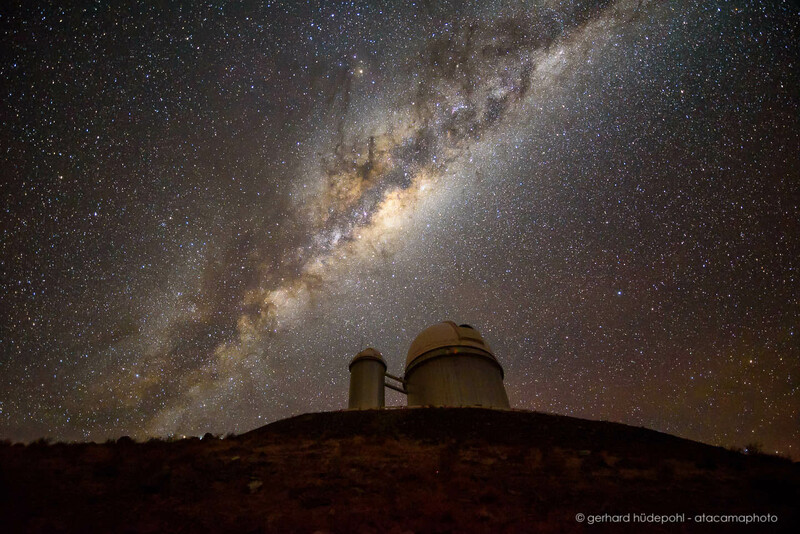 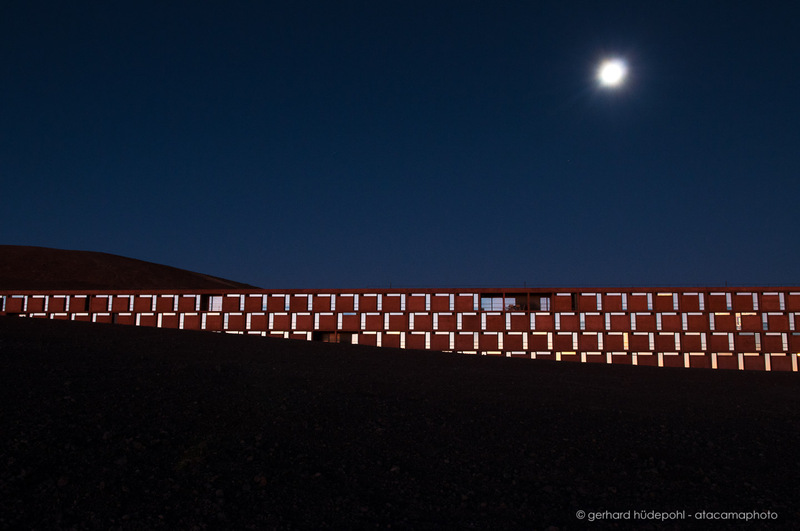 Hi-tech for astronomy: the four 22 watt lasers of the Paranal telescope are launched to the sky. 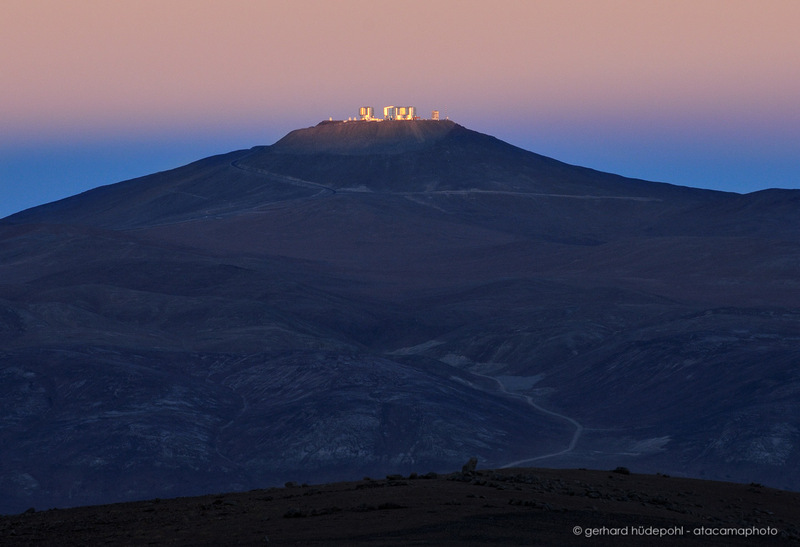 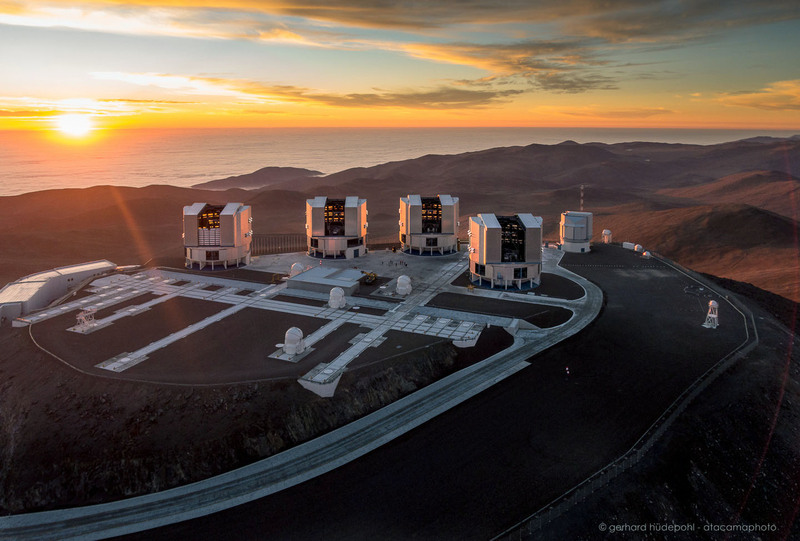 Just before sunset the four VLT telescopes are ready for observation at Cerro Paranal. 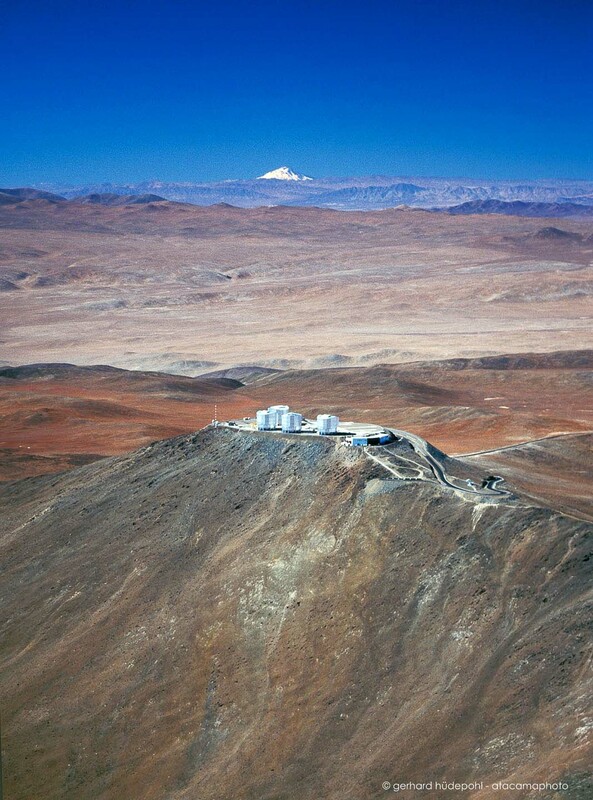 VISTA infrared survey telescope at Paranal, the VLT in the background. 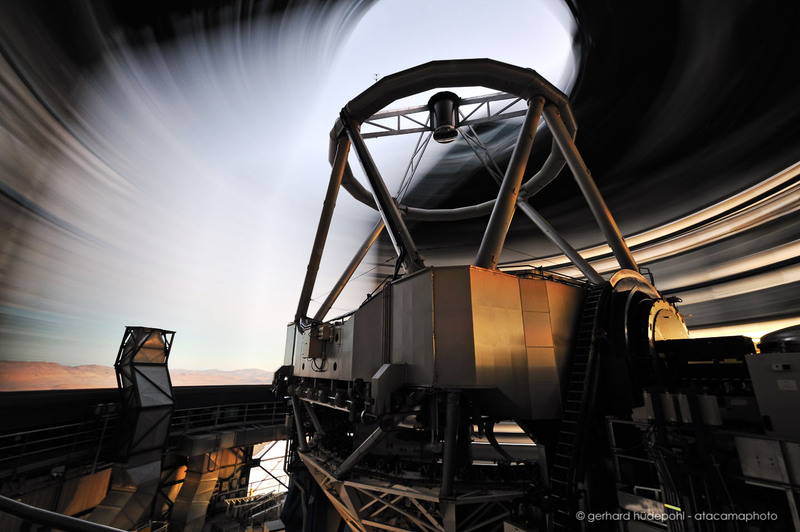 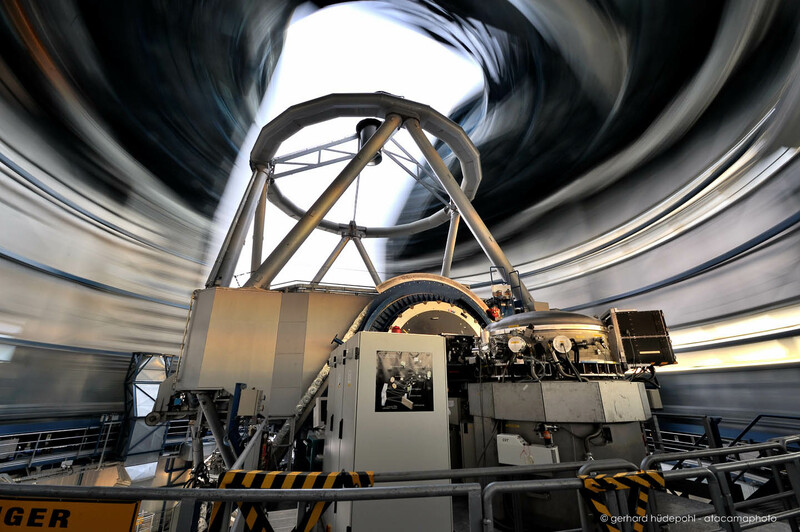 VLT telescope on Cerro Paranal, long exposure blurs the rotation of the dome. 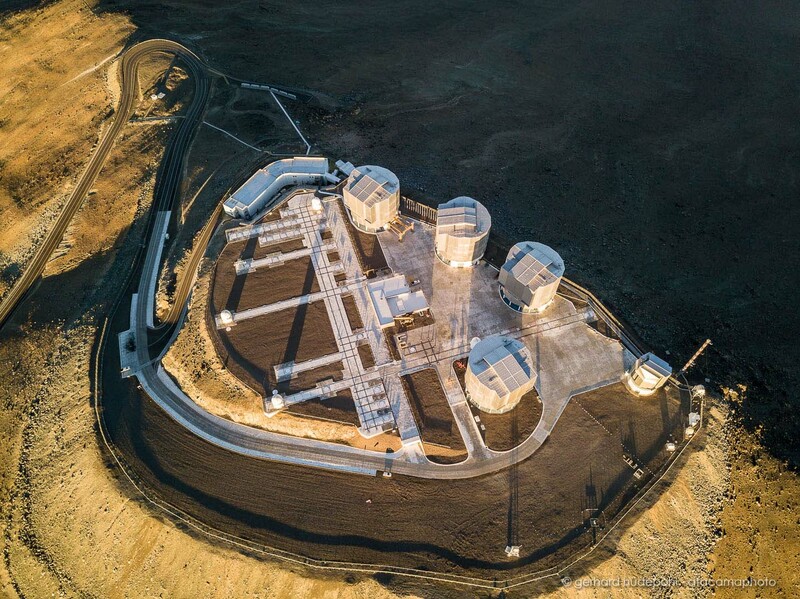 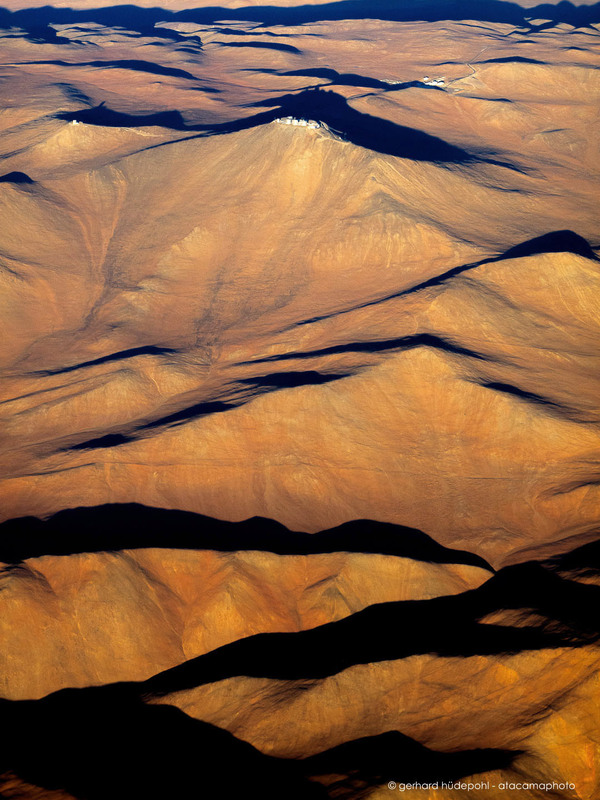 Paranal Very Large Telescope Observatory in Chile with VISTA in the foreground, seen from the air. 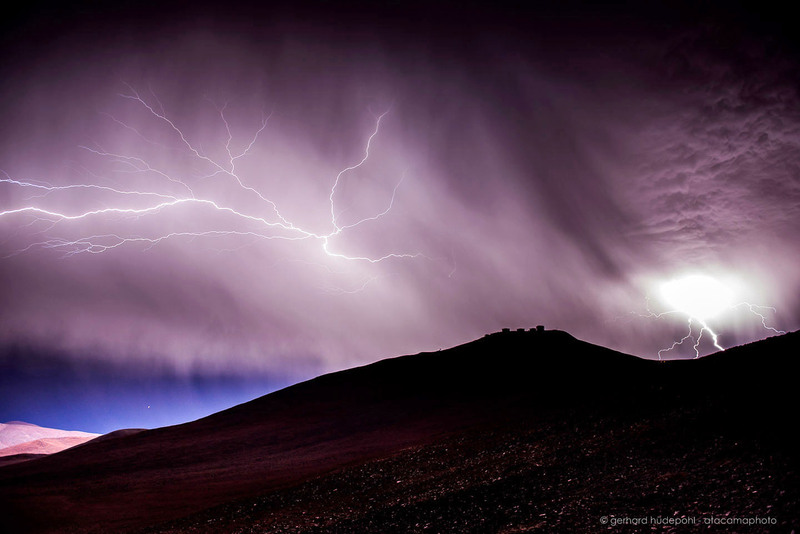 In this electrifying image a furious thunderstorm is discharging its mighty rage over Cerro Paranal. 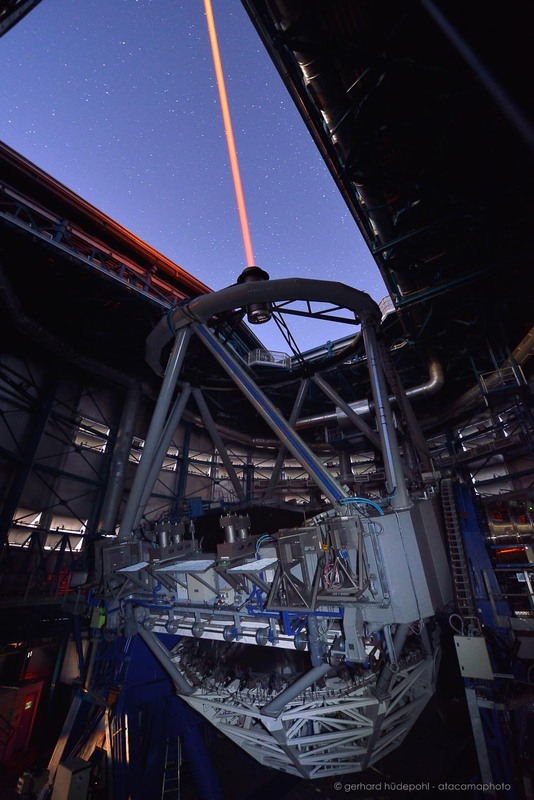 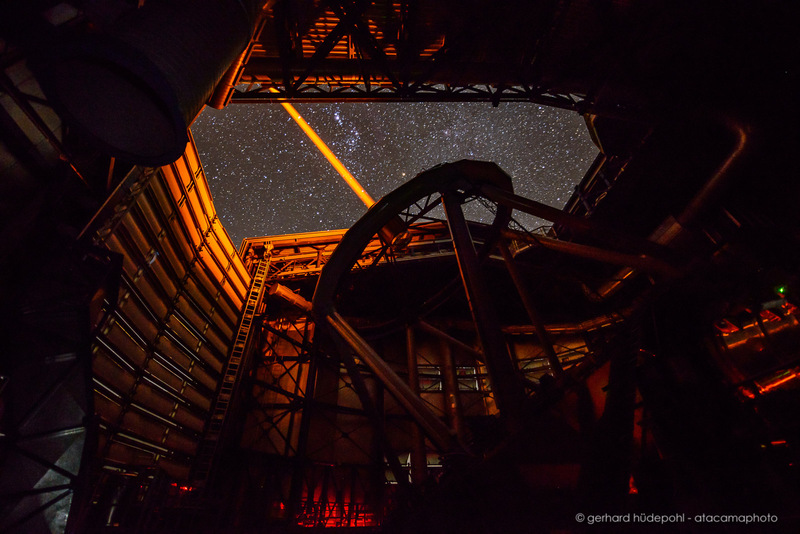 Engineers are preparing to clean the giant 8 meter mirror of ESO's Very Large Telescope on Cerro Paranal in Chile.